Low level lasers are a painless noninvasive treatment which is used to treat a variety of injuries and neurological conditions. Low level lasers send accurately measured non thermal photons of light to the affected area. These light waves penetrate up to 5cm with a 3cm lateral spread. When the laser penetrates the skin it optimizes the immune responses of the blood, which has anti-inflammatory and immunostimulate effects, therefore increasing the ability of the cells to heal and repair very quickly. Cold lasers are FDA approved and have been used to treat a variety of conditions for over 20 years. 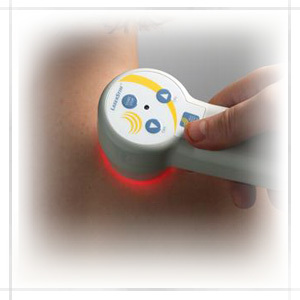 Low Level Laser therapy sessions can last anywhere between 2 and 30 minutes. There are many factors which will determine the treatment time and frequency of treatments, some which include: severity of condition, area of treatment, and how long the area has been injured. Most Patients need 3-6 treatments while others need 10-18 treatments as prescribed by Dr. Westemeir. 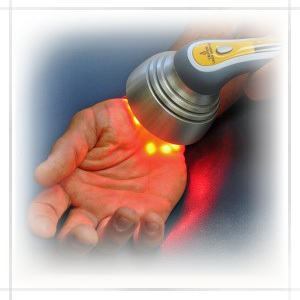 Please ask Dr. Westemeir if you have any questions on how laser therapy could help you.